Christmas time is such a busy time of the year for everyone else too, right?? Well now that beginning in August of every year our family now has a celebration every month for the rest of the year including thanksgiving and Christmas! It’s been so much busier! Along with that our two oldest kids are in school in different towns different times of the day and we run our growing business by ourselves, together, while also caring for and while I am breastfeeding a newborn baby in between. But the busier I get the more blessings I realize I have. I also realize that being busy is something that shouldn’t be taken for granted. Even though it gets stupid sometimes, you gotta be thankful. Sitting idly at home is not really “my thing”, I have learned. I know a lot of people who can, and there’s absolutely nothing wrong with that. Staying busy is something i love, along with meeting new people and spending time with loved ones. Don’t get me wrong, I have days as I’m sure we all do, that I love to sit at home and be alone with my family. And to be honest, I look forward to those days too! I used to be obsessive over a clean house on a daily basis, and that’s not the kind of busy I want either. That can be way to tedious and repetitive and is enough to make someone go insane. I still love a clean house don’t get me wrong, but lately I have been more ok with getting the floors a bit dirtier and the laundry pile getting larger. For some reason letting go of those little things that have consumed me for so long is like a weight has been lifted. Maybe being outside of my own thoughts for once has helped some too. But being busy has given me sort of a sense of freedom I never had before that I love. I am figuring out what my hobbies are because I have never really had any besides work, work, and more work. Oh, and school. Sounds sooooo fun. This last week we finally got around to decorating the house for Christmas and getting our tree up and decorated! The kids love this time of year! For me… it’s stressful. But fun? How could it not be fun when you get to see the excitement and innocence?! I have always loved the day, even when I woke up and had nothing to look forward to. Christmas time is such a happy time. Most Importantly it is what you make it. Happy, sad, or stressful. You gotta get your anxiety in check. God created the day to be celebrated in full thanks and in joy for the things in life we have great or small. Children seem to exemplify that perfectly. Joy joy joy. Do it for them. And most importantly do it for yourself. Even if you don’t have your own kids, find something or start by creating a tradition for yourself and if you like, include the people in your life. We recently started this year taking our kids to the annual Christmas parade here in our hometown. Yes it was freezing and cold, (nothing a little hot chocolate can’t fix), but at the end of the day we had a good time and we created another memory, a good one! Creating something familiar that you can bring yourself to and look forward to every time the holidays roll around is so important. We could all use more butterflies in our tummies. and that it’s completely normal to feel the way they do around this time of year. Your really aren’t alone friend.. Especially when you feel like you are. that’s an inspiration to me. and it doesn’t make sense when people don’t understand why your angry, bitter, or even just sad. It hasn’t always been easy for me to smile at a stranger (believe me) and to just look like I am happy even when I’m not, but what is easy for me is to make other people smile. For some reason, that’s always made me feel whole. Again, I have always wanted more butterflies. Another huge one people (speaking to myself here..), it’s not about the money you have and the gifts you have to give or even the gifts you don’t even receive. No matter how much family you are around, how many presents are under your tree or even the phone calls you may or may not get. love, hope, joy… all of these things. Yummy food and treats is always a plus! Start some baking traditions!! You get the best of both worlds there! It’s truly supposed to be a day of happiness, and thats a huge reason why I look forward to it so much every year. 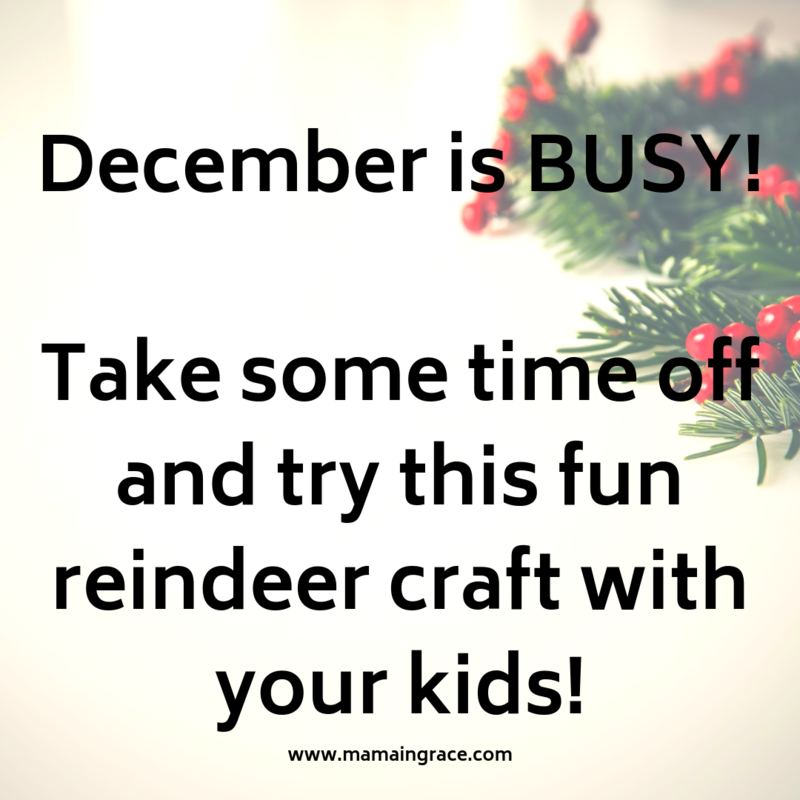 I am the type of mom who loves to do new things, especially crafts with my kiddos (if I see that it’s easy enough to do of course;) ), especially around a holiday. It’s something my kids look forward to and it makes me thrilled to create the memories with them. Since it’s almost Christmas time I was searching for a new craft to do with them on the weekend that the “reindeer” were in town. Those reindeer were actually really, really cool and my kids were stoked that they got to see a little part of Santa’s crowd. Searching on Pinterest, I found an awesome printout to make a Rudolph the Red nosed reindeer headband! How fitting I thought. First; I printed out the template which is 2 pages, onto white card stock paper and then cut them out. Then let the kids paint them, and then I glued and stapled them together. (We also put scotch tape over the staples). We also took the handy dandy tip they give you of taping Popsicle sticks on the inside of the antlers to help hold them up. It really helped hold them up better. We had so many compliments as we went about our day seeing the reindeer and running errands in town! My kids were so excited to share with everyone that asked them, that they made them themselves!! We would love to share with you and your kiddos too! It’s fun to do new things! You start to discover things about yourself you didn’t know before. and mainly started to paint with my kids, but for me specifically I learned to really like painting on canvas. I have had a ton of fun with it but never really loved what I created. Oh well.. haha. We our definitely always our own worst critic but for reals— it’s fun and relaxing either way, and that’s all that really matters. What I love the most about painting and doing stuff like this, is that it makes me forget everything else that’s going on at that moment in time and it truly makes me happy. It helps remind me to be a kid again in this seriously serious life we all seem to live. Seriousness is necessary at times but it’s so freeing for me to do stuff as simple as crafts with my kids. Participating in any activity with my kids really, is extremely liberating for my mind, body, and soul. It reminds me of the innocence I would have loved to explore when I was a kid myself. I’m now getting a chance to do it with my children. The time spent together, which is a blessing and a blast for all of us is so good for their little hearts and for mine. Anyways, I hope you enjoy the craft with your kiddos and if you decide to do it with your kids, feel free to share how it worked out for you, or any tips you have to go along with it! Have fun with it, but most of all cherish the memories you are creating for yourself and with your littles. Because they will remember these days, and they will appreciate them so much. Believe it or not someday, you will too!